Tucked away in historic Mineral Point, Pendarvis celebrates the restoration and preservation efforts of Robert Neal and Edgar Hellum, who saved a significant part of Wisconsin’s past. Explore historic buildings, hike the Mine Hill trails, and wander the stone pathways though gardens in the beautiful landscape that exemplifies the Driftless region. Closed for the season. We are open again May 26. Take I-94 west toward Madison. Merge onto I-90 east (via Exit 4A). Take US-18 west at Madison (Exit 142A). Take US-151 south toward Dodgeville. Stay on US-151 south to Mineral Point. Take WI-23 south (Exit 40) into Mineral Point. Turn left on Shake Rag St. Pendarvis is on the right and the parking lot is on the left. Take US-151 south toward Dodgeville. Stay on US-151 south to Mineral Point. Take WI-23 south (Exit 40) into Mineral Point. Turn left on Shake Rag St. Pendarvis is on the right and the parking lot is on the left. Take I-90 west toward Rockford. Stay on I-90 west into Wisconsin. Take US-18 west at Madison (Exit 142A). Take US-151 south toward Dodgeville. Stay on US-151 south to Mineral Point. Take WI-23 south (Exit 40) into Mineral Point. Turn left on Shake Rag St. Pendarvis is on the right and the parking lot is on the left. Take US-52 south toward Rochester. Merge left onto I-90 east. Take US-14/US-61 south into Wisconsin. Continue on US-61 south. Turn left onto US-18 east. Turn right onto WI-39. In Mineral Point stay on WI-39/Ridge St. Turn right on Commerce St. and left on Spruce St. Pendarvis is on the left on the corner of Spruce St. and Shake Rage St.
Take US-151 north into Wisconsin. Take the Hwy. O (Exit 37) to Business US-151. In Mineral Point stay on Business US-151/Ridge St. Turn right on Commerce St. and left on Spruce St. Pendarvis is on the left on the corner of Spruce St. and Shake Rage St.
Closed for the season. No daily tours. Please check back for special events. A map and guide explain the restoration of 43 acres of native prairie, and the original “badger hole” mines and historic mining equipment. Pendarvis is situated on a 4.5 acre hillside in the middle of Mineral Point. Many of the pathways are level but somewhat rugged. The Visitor Center and the Pendarvis Store both are wheelchair accessible. Due to the nature of historic structures, access to the other buildings is limited. Reasonable accommodations will be made for individuals requiring mobility assistance. Please call us at 608-987-2122 before your visit to make arrangements. While no pets are allowed on the museum grounds, service animals are permitted for persons with disabilities in accordance with the Americans with Disabilities Act. No guns, knives, or weapons allowed on premises. Our store features handmade items, reproduction period goods, unique books, souvenirs, and more! For a complete list of restaurants, hotels, and other attractions around Pendarvis, visit Travel Wisconsin.  Enjoy 10% off store items as a Wisconsin Historical Society member. For everyone who enjoys beautiful, natural landscapes, the community of Mineral Point, nestled in the rolling hills of Southwest Wisconsin, offers a backdrop that is relaxing as well as inspiring. History buffs, art lovers, and antique enthusiasts find themselves drawn back time after time. As you stroll through downtown, discover unique shops, galleries, and theaters on streets brimming with resident artists and entrepreneurs. From simple limestone cottages to massive Romanesque architecture, the business and arts district hosts an impressive collection of over 500 early Wisconsin historic structures. Mineral Point was the first Wisconsin city listed on the National Register of Historic Places. To find more information about Mineral Point, including the current calendar of events, contact the Mineral Point Chamber of Commerce. For more information on restaurants, hotels and other attractions near Old World Wisconsin, visit our sister site Travel Wisconsin.